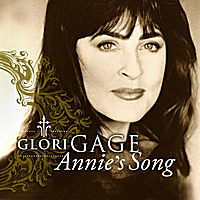 A LOVE song...the pure, passionate solo voice of Glori Gage creates a loving rendition of John Denver’s #1 Hit “Annie’s Song” also known as ‘You Fill Up My Senses’. A re-release from Glori’s CD “Treasured Memories: Classic Ballads” in MP3 format for download purchase. "..this song is filled with JOY, SUNSHINE & LOVE"
"This is a musical LOVE LETTER ..."
Glori Gage's lush voice delivers a moving rendition of 'Annie's Song', written by the late John Denver. Brilliantly arranged by John Sheard, this intimate ballad will appeal to those who fell in love with the song when it was first released in 1974, as well as those who are hearing it for the first time. Perfect song choice for a romantic setting!